No more tapes or drives to manually change every night and store offsite. Automated backups and should the worst occur, you can continue to have access to your documents. 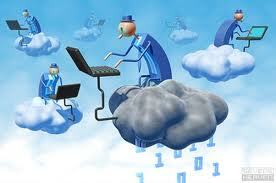 Virtual file servers in the cloud enable your team to store and retrieve files safely. Using any internet connected device whilst also knowing that everything saved in the Cloud is secure. Moving from an email application that runs on a Server in your office to one that is hosted remotely gives easy mobile access. For applications such as Microsoft Office 365, you can rent the software. So, whether you’re working in your office or on the go, you get the latest version enabling you to create, edit, and share from your desktop, tablet or mobile. From a Cloud hosted environment, whether it’s accounting software, CRM applications or marketing tools, virtually everything is now available to rent. Speak to us about how the Cloud can deliver key competitive advantages for your business.